If you want your carpets to last, you should get them professionally cleaned regularly. Carpets get dirty. That’s just how it is. The kids will spill drinks; and the dog will think it’s a good idea to mark your living room area rug and call it his own. Unfortunately, dirt won’t go away on its own. Carpets need to be cared for; and that means getting a professional to give them a thorough cleaning every so often. Skimp on cleaning, and over time they’ll start to look drab and become a hotbed for all sorts of germs. Of course, you might be wondering how much professional carpet cleaning would cost. There’s no straightforward answer to this question. Much will depend on the condition of your carpets and the quality of care they’ve seen so far. Luckily, this is all stuff you can control. You should get your carpets professionally cleaned at least once every twelve months. However, this doesn’t mean you’re free to ignore them for the rest of the year. It might sound obvious, but the dirtier your carpets are the more expensive it will be to get them professionally cleaned. That’s because it will be harder and more time-consuming to get all of the dirt out and restore your carpets to their former glory. But dirt isn’t just unhygienic, it can also damage your carpets. Dirt is abrasive. Stepping repeatedly on a dirty carpet grinds the dirt deeper, which damages the fibers and erodes the carpet’s backing over time. Before you know it, you’ll be in for expensive repairs or even total replacement. You should vacuum your carpets at least once a week. This will keep dirt to a minimum, making it quicker and easier for carpet cleaning specialists to deep clean your carpets. It will also reduce wear and tear. Accidents are an inevitable fact of life, especially when you have young children or pets. Unfortunately, many people make matters worse for their carpets by dealing with spills the wrong way. The worst thing you can do is panic and run for the cupboard under the kitchen sink. Cleaning chemicals can bind to stains and set them permanently, which makes them impossible to remove. Some chemicals can also react with the stain and make the odor worse. You should deal with spills as swiftly as possible, before they have time to dry. Blot the stain with paper towels, applying gentle pressure to help soak it up. Most importantly, don’t rub. This will spread the spillage and drive it deeper into the carpet fibers, making it harder to remove. Cheaper isn’t always better. In fact, when it comes to carpet cleaning, cheaper is a downright bad idea. Carpet cleaning companies who offer cheap prices tend to cut corners to keep costs down. This is bad news both for your carpets and your pocketbook. The results won’t be effective and won’t last long, so you’ll spend more on cleaning in the long run. A reputable carpet cleaning company will take the time to agitate your carpet thoroughly with pre treatment solution. This will ensure the cleaning process removes the largest amount of dirt possible. They’ll also apply protectant, which coats the carpet fibers and makes for easier day-to-day clean ups. 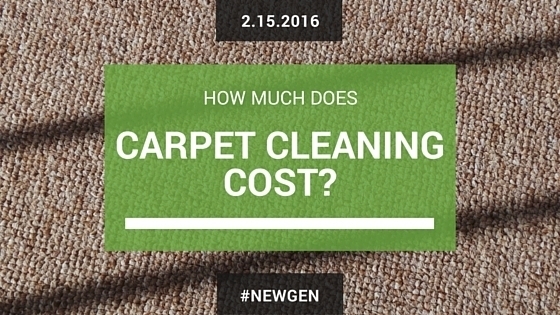 Your carpets will stay cleaner for longer, and they’ll cost less to maintain. By room or by house, click here to get a free quote today.